On April 13, 2015 we received the email shown below, with four attached photos. We have posted all four photos below, with thanks to Kindra Shecter and her husband Marc Shecter who took them They have given permission for their use and furnished caption text. 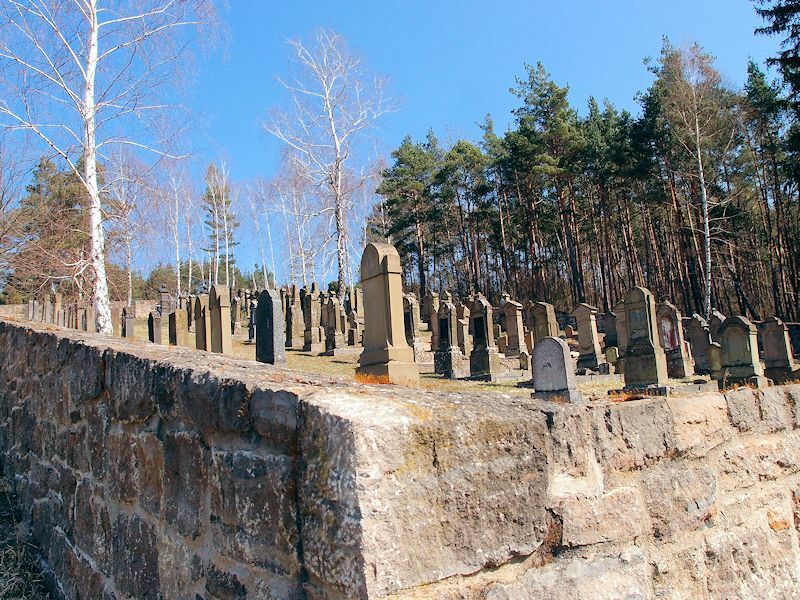 In the summer of 2015, just a few months after Kindra and Mark Shecter took the pictures shown below a major restoration of the cemetery took place. 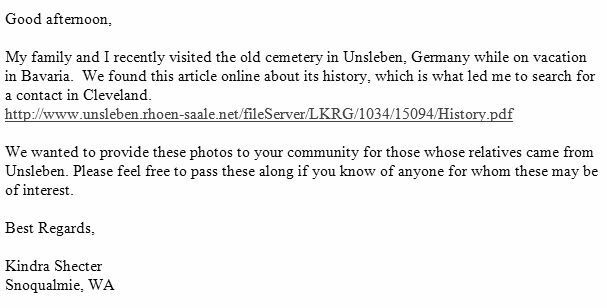 It is described (in English) on this German website The Lost Jews of Unsleben. 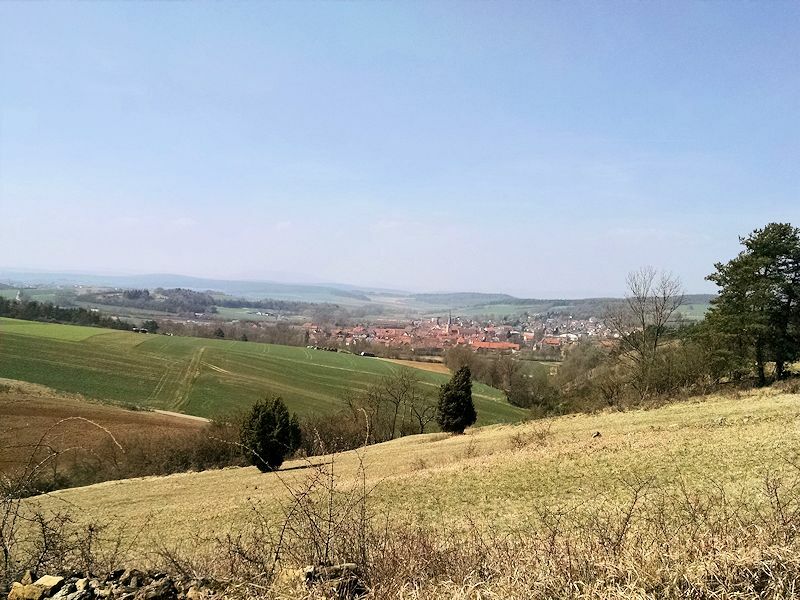 This view from the cemetery looks west, toward the Village of Unsleben. The cemetery is about a mile east of the town. See it on Google Maps. 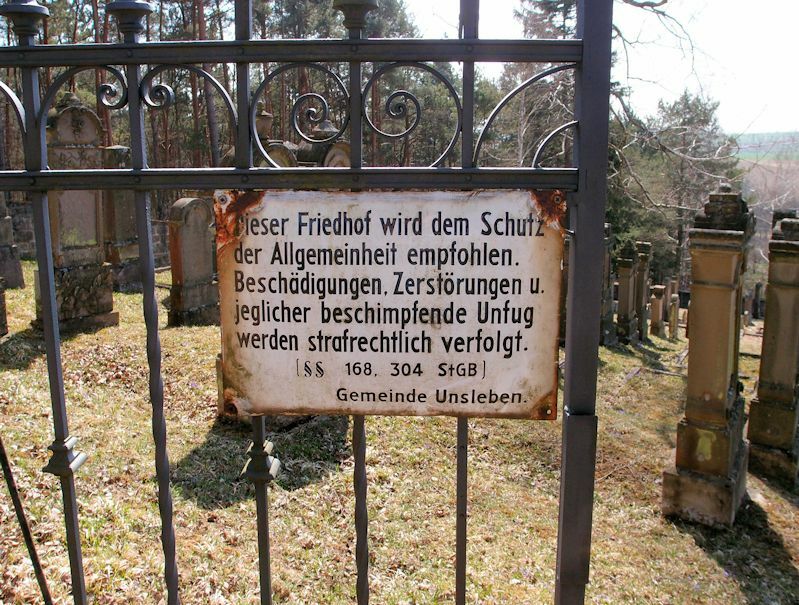 The sign on the cemetery gate cautions that the site is under the protection of the Village of Unsleben. Anyone who damages it or creates mischief will be prosecuted. The site has not been rebuilt, but it has been recently maintained. For example, the grass around the site has been mowed, several trees which were growing inside the walls have been cut down, the grass and weeds inside the walls have been trimmed/pulled. 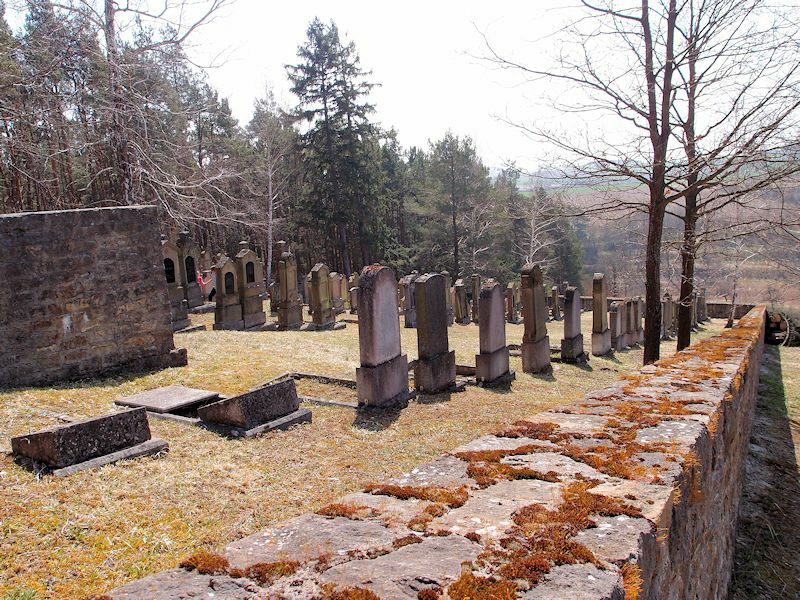 The graves which were damaged by the Nazis remain damaged. Many are anonymous, many have cracked plaques. Most of the tombstones show their age, and some plant growth peeks through cracks. But it is a very lovely and peaceful site. For a drone view of this cemetery, posted in 2016 by Israeli Moshe Cain click here.